Is your cat a house wrecker, scratching your furniture or walls? What you need is a scratching post or scratching tree. 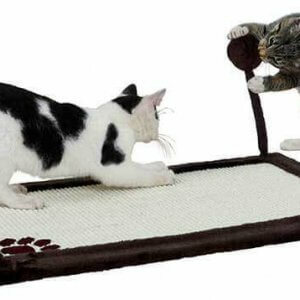 We have a wide range of products to help save your property – from scratching posts for small cats and kittens, to scratching mats and scratching tree cat furniture that also provides activity on several levels. Some of our cat trees are huge and reach the ceiling with hammocks and ledges and sisal poles. 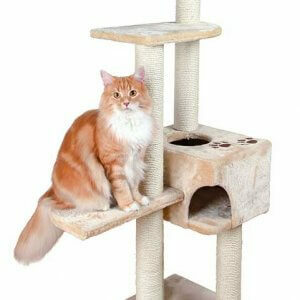 You can also admire a cat tree as a stunning piece of furniture for your house. Or as a piece of art. 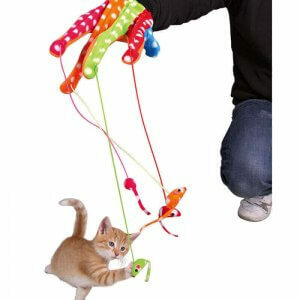 Our selection of cat toys provides your cat with mental and physical stimulation to help them maintain a healthy lifestyle. They also have fun.